Plymouth was settled in 1825, although historical accounts differ as to whether William and Keziah Starkweather were the first settlers, or if that honor goes to Luther Lincoln. The Starkweathers built their home in right in the middle of town, whereas Lincoln’s home and saw mill were set up on the Rouge River—technically, outside of city limits. Regardless of who started building first, Plymouth was officially made a village 42 years later—but it wasn’t until 1932, over one hundred years after its founding, that Plymouth was named a city. Equidistant from Ann Arbor and Detroit, Plymouth is convenient to the bigger cities, yet still holds its own charm. Plymouth’s many municipal events make it a special place to live and visit. The Plymouth Ice Spectacular is the premier ice carving festival on the continent. Going strong since 1982 and fostering the growth of competitive ice carving, this two-day annual gathering attracts half a million people to Plymouth. Want to come in from the cold? Kick off your shoes and enjoy an eclectic theater experience at Barefoot Productions on North Main Street. The summer breezes bring 300,000 visitors to Plymouth each year for Art in the Park, which features over 400 artists working in a variety of mediums. There’s Music in the Air every Friday night in Plymouth, June through September. This annual outdoor concert series in Kellogg Park hosts a wide variety of bands—with artists as diverse as flower-powered Magic Bus, Celtic rock powerhouse the Shawn Riley Band…and Detroit’s Queen of the Blues, Thornetta Davis. Fame doesn’t just come to visit: Plymouth is the hometown of punk pioneer Jeremy Porter, who sang and played guitar with The Regulars, the OffRamps, Fidrych, and SlugBug—as well as founding The Tucos. Actor Tom Hulce, who played Mozart in Amadeus and “Pinto” Kroger in Animal House, was raised in Plymouth. People in Plymouth are understandably proud of their town’s culture and achievements. 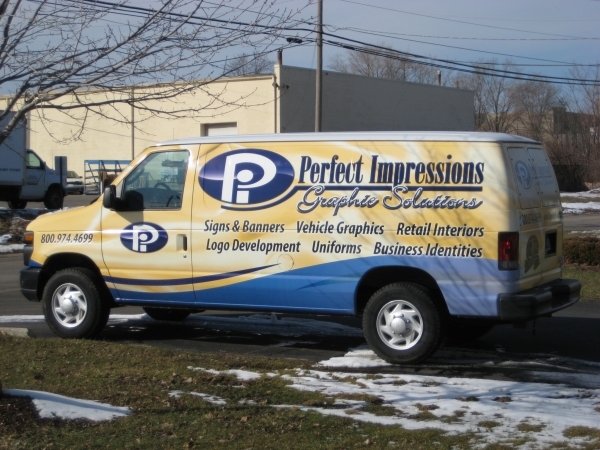 As a business owner in Plymouth, your hometown pride extends to the company you’ve built—and Perfect Impressions Graphic Solutions has the expertise to keep your business growing. In our heated garage, we affix custom car wraps that make your business marketing sizzle, no matter how bitter the Michigan weather. These sturdy vinyl vehicle wraps will protect your paint from dings and chips on Interstate 275, while clearly communicating the benefits of your products and services. Potential customers all along M-14 will spot your vivid logo even in the midst of rush-hour traffic. Car wraps are high-impact and low-maintenance—they can be easily washed clean with simple soap and water, so you can say goodbye to buffing and waxing, and focus on your business. 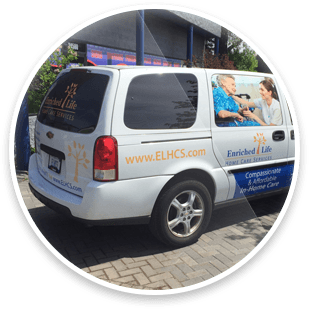 It doesn’t matter if your company uses a combination of compact cars, panel vans, and small trucks to transport your products or technicians…with vehicle wraps from Perfect Impressions, your entire fleet will have a uniform, polished look. And, as your all-in-one source for vehicle wraps, decals, promotional magnets, and printed marketing materials, Perfect Impressions Graphic Solutions will work with you to make sure all your branding is completely consistent—and get you on the road to business success.